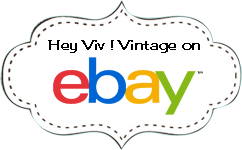 Hey Viv Retro 50s Style Rainbow Multicolor Pop Beads. Fun to play and wear. Hey Viv! Rainbow Pop Beads: 1950's Fun! One 3oz bag of Pop Beads. Bag has a reclosable zip top. Remember these? Pop Beads ! Also called Pop It Beads or Snap Beads. Make a necklace & matching bracelet, take it apart and start all over again. Popular in the 50's, these beads are a fun accessory to add to your fifties look. Each bag is enough to make a necklace and bracelet of varying lengths. The Rainbow bag includes bright pink, orange, purple, yellow, green and blue pop beads. These beads are fun to play with and wear for kids & adults alike. Buy a party pack & save ! Bonus Pop Beads - Click here to order a Pop Bead Party 10 Pack and get 2 free bags !